We are featuring our new gift card for purchase. Now, anyone can give this card for any portrait session or wedding. These cards are perfect for your bridal registry, too. 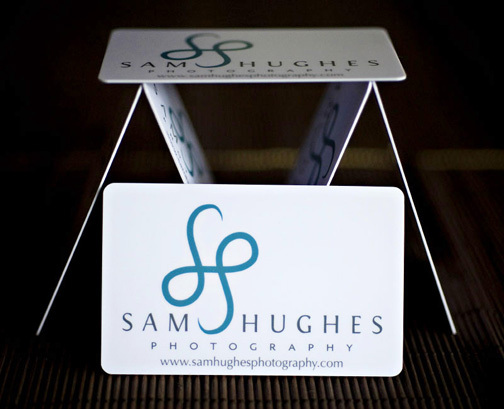 Be sure to put Sam Hughes Photography on your registry to allow your guests the opportunity to help purchase your wedding package, bridal portrait or album. Contact us at the studio for more information!